For a lot of people looks they place at the highest level of importance when they are commissioned to evaluate how a person could be an asset; to a business, as an employee, as a colleague, as a group mate, as a team member. Looks can even be a basis with which a person will be judged as an acquaintance before he/she are considered to become a friend. Looks often become a basis on how a person is going to receive consideration from customers, sales persons and from even person of authorities too. This kind of functional although biased selectivity is reached by the mind and heart unintentionally, but today this is a social trend that directs and decides a lot of dealings. While not everybody were endowed with fine looks when born, an admirable profile however can fade away to insignificance when the skin, the canvas and the setting where the superb profiles were etched becomes dirty and flawed. The skin can enhance even the poorest profiles and when skin is glowing and radiant, all that’s lacking with the looks disappear, for who can distinguish the flaws with the etchings when the illumination of the setting is vividly arresting. Skin can be an asset or a liability, and which of the two it becomes all depends on how you take care of your skin. There are natural and artificial ways of caring for your skin and it will not going to cost you more than the usual amount of money and time you spend on taking care of the other parts of your body every day. All it will take is your dedication and your motivation to keep on with the regimen even if it doesn’t give result immediately and a few more specific skin dermatologic products. Twice a day is the ideal timetable for washing the face. Not the superficial whisk with water and wipe away with a moist and soft cloth wash type but the deep cleansing wash in the morning and at night before you go to bed. Apply toner and moisturizer after washing with facial cleansers that are free from oil. Clean and oil free skin will look greatly radiant, a lot of help washing away dirt and impurities will give to your skin. Break outs will be minimized or at the most will be prevented from occurring. Make sure make up is fully removed with the help of make-up removers. Make-up removers are available as either liquid or cream preparation and there are make-up remover wipes available now too. 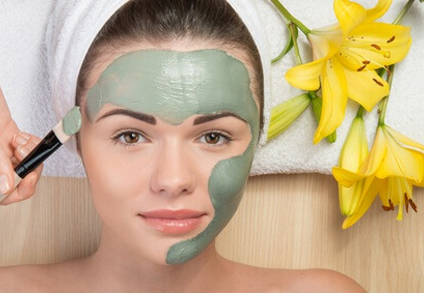 You can also remove make-up by using facial scrubs when washing the face. Wash with warm water to open pores, next wipe your face with cotton balls moistened with cleansers then apply toner and moisturizer after cleansing. Use make up basics; like powder, foundations, and sun blocks best suited to your skin type. There are many products being marketed today as the best ones there is to provide you flawlessly radiant looking skin, but don’t eagerly believe the marketing pitches and use these products without testing first if you are allergic to some of the ingredients used. Choosing the most dermatologically compatible make up basics to use will provide you double the benefit; enhancing your look while keeping skin in its naturally flawless condition. Dark spots and acne and marks can be lightened by using chemical peels some with natural products added and others purely chemical. Choose which of these brings out the best looking skin and stick to it until manufacturers decide to again change the consistency changing the product for the worse or for the better and then you decide to stick with the product or not and go looking for another one that’ going to serve its purpose best. Your skin is what you eat. The skin reflects what you put inside your stomachs. Toxic guts expose its toxicity outside with your skin. Acnes all over your face with bloody break outs are sometimes a reflection of the how full of toxins your stomach is. Try to cleanse the insides of your gut by eating gut friendly healthy foods and your effort will pay off by having one of the best radiant skins around. Drink plenty of water too and minimize alcohol intake. Dairies for some are triggers for skin to break out in acnes, whole body acnes if you have these better to steer clear of dairy products. Don’t deprive yourself of the right amount of sleep you need to stay healthy without the right reasons. If sleeping late is just a whim and not necessary, it’s much better to log out of social media and turn that cellphone off then lay down for dreamland. You need to sleep 6-8 hours a day to keep your body healthy and your skin glowing too. If starved of the right amount of rest your body will become unhealthy and your skin too. Working out or exercising also helps in removing toxins from your body. Intense work outs and exercises make you sweat and sweating is another way of removing impurities clogging your skin pores. Work outs and exercises make your body heat and when feeling hot the pores on your skin open and sweat will pour out taking the impurities from your open pores along. Unclogged pores don’t break out into acnes or other kinds of skin irritations that unhealthy skin with clogged pores will eventually suffer. To have radiantly healthy skin you need to put in enough effort to make what you are doing work. Follow the regimen you have established religiously and you’ll get your much desired reward. Living a healthy lifestyle is what your body needs most to stay healthy, not only your skin needing that right amount of sleep, healthy foods and exercises.